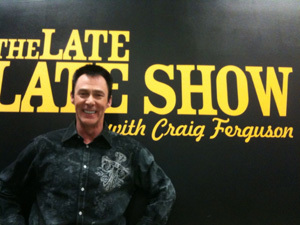 Lance Burton will perform the Vanishing Bird Cage on Craig Ferguson's show Thursday night (technically, early Friday morning). The episode was taped on March 29th. Lance isn't sure whether this marks the tenth, eleventh, or twelfth time he's appeared onThe Late Late Show, first with Craig Kilborn and now with Ferguson.